Amongst the foremost Breast Surgeons of India, Dr.P. 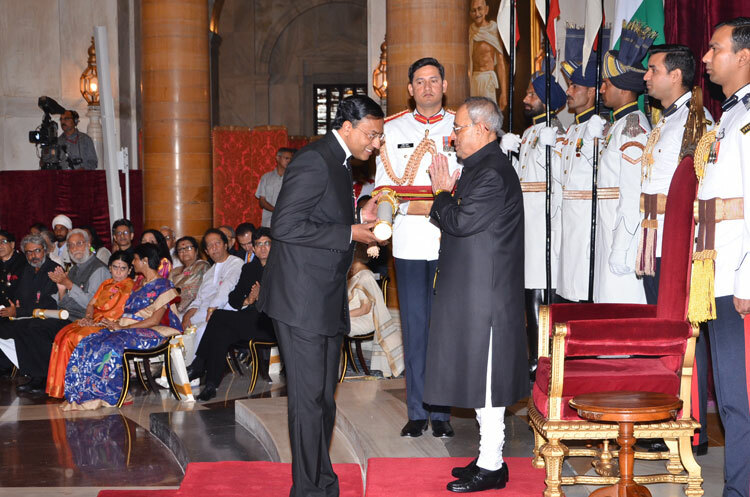 Raghu Ram was conferred the prestigious Padma Shri by the Hon'ble President of India at the Rashtrapati Bhavan on 30 March 2015 making him the youngest Surgeon ever in the history of Telangana and AP & one of the youngest doctors in the Country to have been bestowed one of the highest civilian awards of the land. 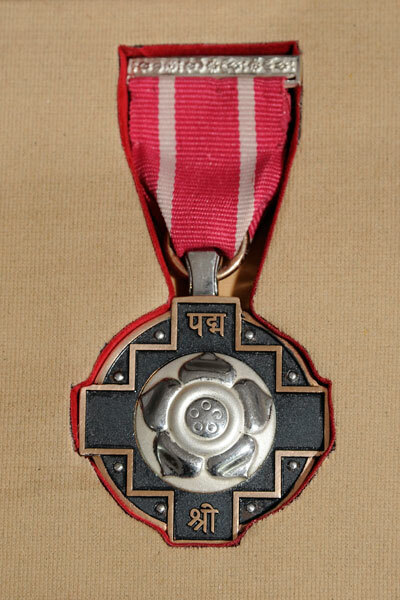 A Visishta Ugadi Puraskar Awardee (State Award, Govt. 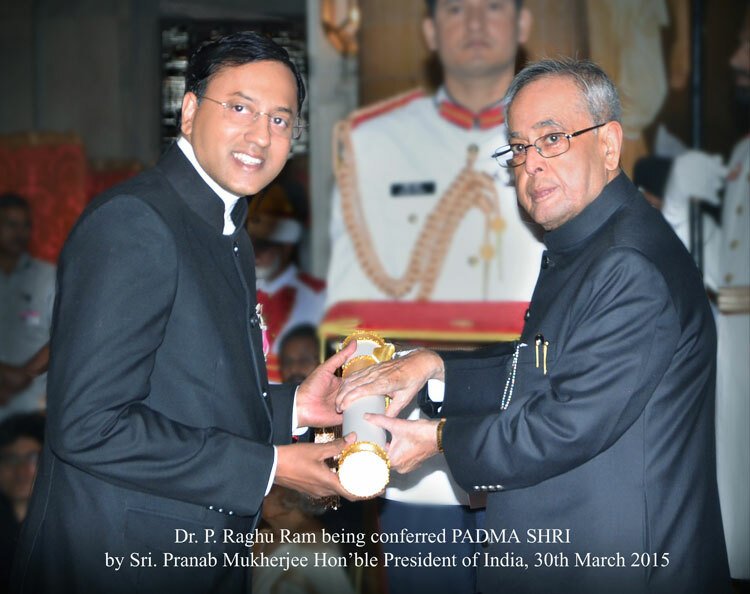 of undivided Andhra Pradesh, 2010), Dr. P. Raghu Ram has been conferred PADMA SHRI for his vision & intense body of work at improving Breast healthcare in his motherland, and equally, for his unstinting contribution at promoting the highest standards of Surgical Education in India through his association with the Royal College of Surgeons of Edinburgh & Royal College of Surgeons of England. Having obtained First Place in MS Postgraduate Examination, he successfully completed Subspecialty training in Breast Surgery at world renowned Nottingham Breast Institute & Royal Marsden Hospital (London). Dr. Raghu Ram is amongst the very few in the World to have acquired prestigious FRCS from all four Surgical Royal Colleges in British Isles (London, Edinburgh, Glasgow, Ireland) & FACS from the American College of Surgeons at a very young age. The year 2002 was a defining period for Dr. Raghu Ram, when his mother, Ushalakshmi was diagnosed with Breast cancer. The unexpected diagnosis of breast cancer to someone close to him coupled with huge disparity in breast cancer care across India became the turning point in his life. 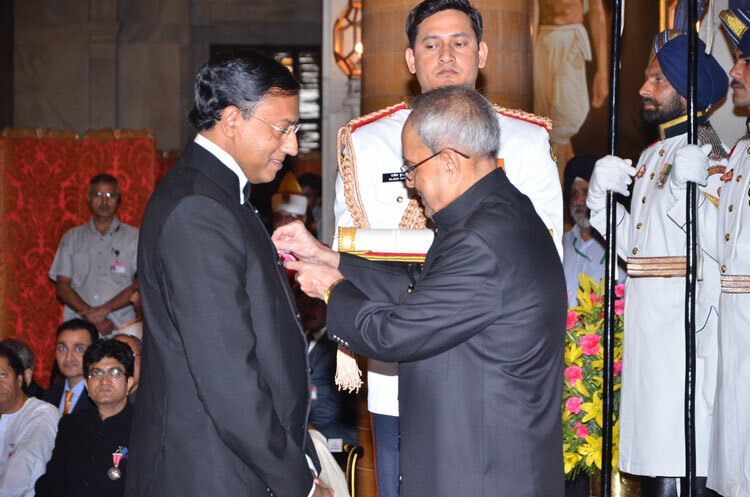 Much as he had settled status & rewarding career opportunities in UK, Dr. Raghu Ram returned to India with a VISION to make meaningful difference to Breast healthcare in his motherland. Demonstrating extraordinary leadership, Dr. Raghu Ram introduced the concept of Breast health & established Indian Subcontinent’s FIRST free standing purpose built comprehensive Breast health Centre @ Krishna Institute of Medical Sciences (KIMS) in Hyderabad. Named after his mother, KIMS–USHALAKSHMI Centre for Breast Diseases(www.breastcancerindia.org)has brought about a revolutionary change - Breast Centre Concept in the Indian Subcontinent. Having identified lack of awareness as one of the main reasons behind high mortality for Breast Cancer in India, Dr. Raghu Ram established Ushalakshmi Breast Cancer Foundation (UBF) with a mission to empower women on the importance of Breast awareness and underline the benefits of early detection of Breast cancer. Over the years, UBF (www.ubf.org.in) has been working tirelessly in accomplishing its mission of providing responsive education outreach service across Telangana & Andhra Pradesh. 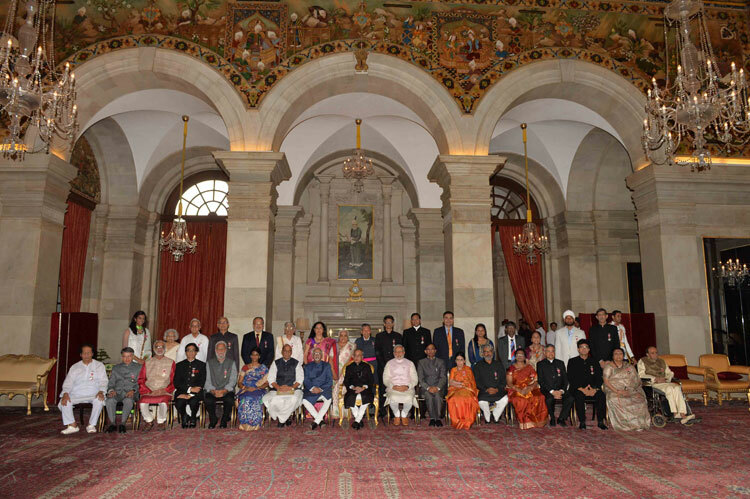 Many of the initiatives of the Foundation has attracted national & international attention and appreciation. With the singular aim of ensuring early detection of breast cancer & save more lives, Dr. Raghu Ram is currently implementing an innovative & cost effective large scale population based Breast Cancer Screening Programme in partnership with Telangana & Andhra Pradesh Mahila Samatha Societies. Several thousand underprivileged women from Telangana & Andhra Pradesh have already been screened and women diagnosed with breast cancers are being treated FREE of cost. Recognizing the need for a paradigm shift in delivery of Breast healthcare in India, Dr. Raghu Ram garnered support from Indian surgical fraternity to establish Association of Breast Surgeons of India (ABSI), which is the ONLY Organisation in Indian Subcontinent that represents Surgeons treating patients with Breast Diseases. The formation of ABSI is the FIRST step at developing Breast Surgery as a Subspecialty in India. 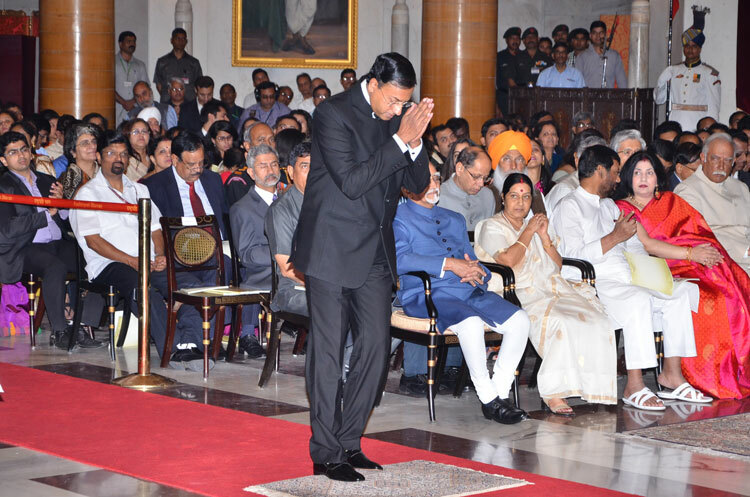 Dr. Raghu Ram was unanimously elected Founder Honorary Secretary (2011 – 2013) & President (2015 – 2017) of ABSI - Youngest ever and the Only Surgeon from South India elected to the apex position of ABSI. Dr. Raghu Ram published several articles in peer reviewed Journals and contributed NINE Chapters in THREE Textbooks of Surgery. In a determined effort to help Surgeons from Indian Subcontinent prepare for FRCS & MRCS examinations, Dr. Raghu Ram conducted TEN Overseas Courses in Hyderabad since 2000 under the auspices of the Royal College of Surgeons of Edinburgh (RCS Ed) that has helped well over 1500 doctors – highest number of Courses ever held by the Royal College outside UK. He also convened the Overseas MRCS Examinations in Hyderabad on behalf of RCS Ed in 2008, 2010 & 2012, thus sparing the need for doctors to visit UK to take this Examination - MRCS Examinations were held for the First time in Andhra Pradesh in 500 years history of RCS (Edinburgh). Dr. Raghu Ram will also convene MRCS Examination on behalf of Royal College of Surgeons of England in Hyderabad (June 2015) - First time for MRCS Examination to be held in Telangana in 475 years history of RCS (England). 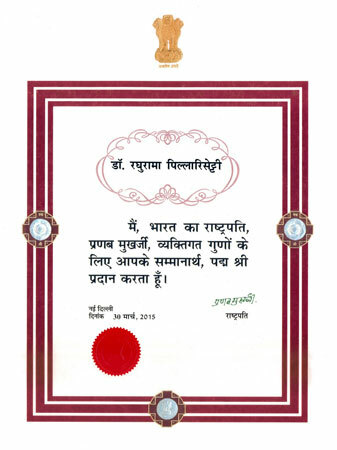 In recognition of his outstanding academic achievements & exceptional contribution for well over a decade towards preparing surgical trainees from India taking the FRCS/MRCS examinations, Dr. Raghu Ram has been conferred with International Gold Medal (2013) – the highest Award that the Royal College bestows to Surgeons practicing outside of the United Kingdom. He is the youngest ever recipient of this impressive Award in 508 years history of the Royal College.